SWF was originally short for Small Web Format, then later changed to Shockware Flash, and again changed back. 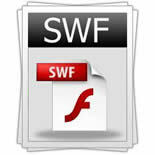 SWF was originally short for Small Web Format, then later changed to Shockware Flash, and again changed back. 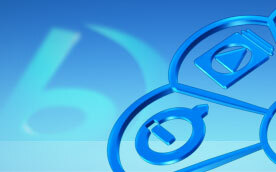 It is a partially open file format for multimedia and especially vector graphics. SWF is animation created with Adobe Flash, which can contain raster graphics, vector, and interactive actions. SWF is developed by FutureWave Software and now controlled by Adobe. It can be played in web browsers with a Flash plug-in. This media format is used for steaming Internet content with the assist of a Shockware plug-in. It is an open source with free royalty. It captures with pixel perfect precision, and works so great when being viewed on the web. Apart from streaming on the web, it can also be used for programs, commonly games, using Action script. In order to be small enough in size for application on the web, the animations or applets containing in SWF files are in varied degrees of interactivity and function. 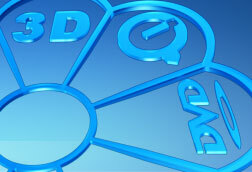 Sometimes, it is also used for creating animated display graphics and menus for DVD movies, and television commercials. You can get SWF files from some Adobe programs, such as Flash, Flex Builder (an IDE), and MXMLC. Besides those Adobe programs, SWF files can be generated from some open source, including the open source Ming library, the free software suite SWF Tools, Motion-Twin Action Script 2 Compiler (MTASC) and the proprietary SWiSH Max2. Furthermore, in the current market, there are also several third party programs that can build SWF files like Multimedia Fusion 2.